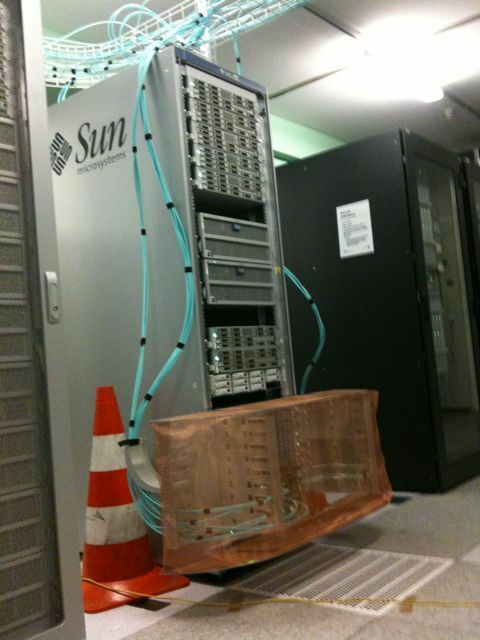 In January 2010 started at CSCS the upgrade of the cluster “Phoenix” that is being used as tier 2 by the Swiss Institute of Particle Physics (CHIPP) in the LHC experiment at CERN. 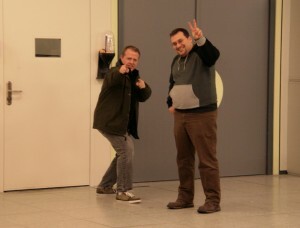 The Swiss commitment in 3 of the 4 large LHC experiments (ATLAS, CMS and LHCb) mandates establishing their own Grid computing infrastructure for performing LHC physics data analysis in Switzerland. The previous system based on SunBlade 8000 for the Compute Notes, SF_X4200 M2 machines with 2.8 GHz AMD processors for the Service Nodes and SF_X4500 for the Storage Nodes with our ZFS-Solaris Technology has been running now for 3 years and an upgrade and expansion was necessary. The new HPC system is based on a Gigabit Ethernet network and an additional Infiniband network based on QDR technology with the Sun Datacenter Infiniband Switch 648 and uses Lustre as parallel file system. The worker nodes are base on Sun X6275 blade server, based on the new Intel X5500 processor generation (Nehalem, 2.53 GHz, Quad-Core, 8MBCache). 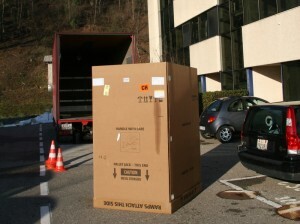 The hardware has been delivered beginning January, 2010 and will be functional in March, 2010. The old compute nodes will be decomissioned by mid year. In the next picture you can follow the assembling of the system in the first month. The truck delivering the hardware beginning of January at a sunny day in Manno. The boxes with the delivered hardware in the CSCS computing room. 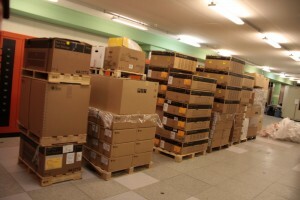 Unloading of the racks that can up to 1’080 kg heavy. 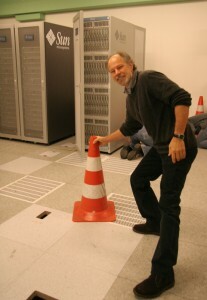 Christoph Grab (CHIPP) inspects the location of the upgrade of Phoenix (which is next to the existing system). The first QDR InfiniBand cables (in blue) are connected to the IB fabric. Because they are very fragile, the cables are suspended to the deck and not running in the raised floor. 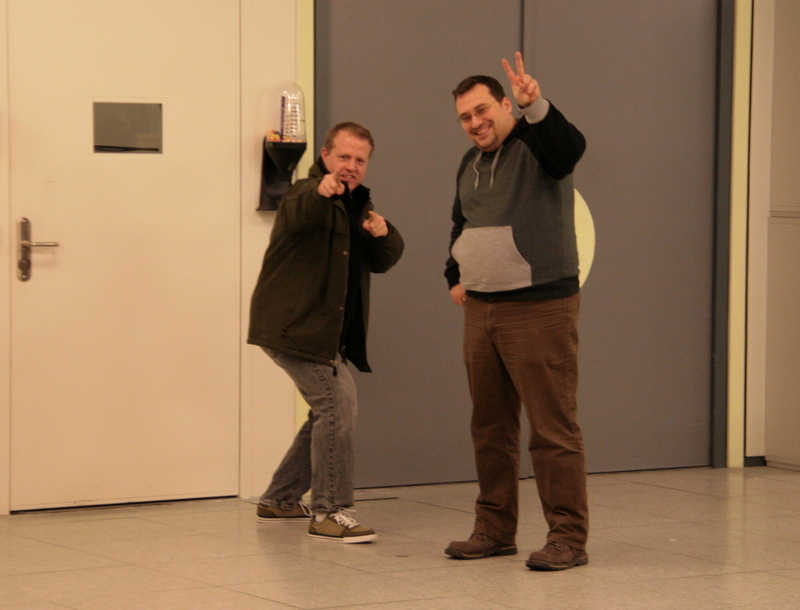 The sysadmins of Phoenix Jason and Fotis are getting ready to take over the new system.